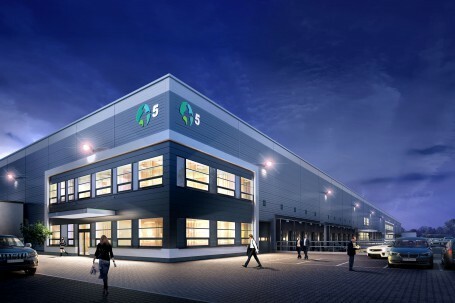 WARSAW (15 February 2016) – Prologis, Inc., the global leader in industrial real estate, today announced that it has begun the development of a Small Business Unit (SBU) facility totalling 16,000 square metres at Prologis Park Chorzów in Poland. The building is already 45 percent pre-leased to the global leader in express shipping services. Completion is scheduled for the second quarter of 2016. With the smallest units starting at just 828 square metres, the facility appeals to customers looking for high-quality, flexible office and distribution space within the city limits. The facility is designed with cross docks, wherein each unit is equipped with a level-access gate and two loading docks. Units can be combined to customize space for individual customer needs. This flexibility allows for the most efficient use of the space and helps to reduce operating costs. Prologis Park Chorzów is a state-of-the-art distribution park totalling 235,000 square metres. The park is located on the western outskirts of Katowice, in the immediate vicinity of the A4 motorway connecting Ukraine and Germany, and is 15 kilometres from the Gliwice-Sośnica interchange, a junction of two of the largest international transport corridors in Poland.